After disappointingly short spells in charge of Chelsea and Tottenham Hotspur, the Portuguese coach is still looking for his first trophy since the Europa League win with Porto in 2011 that established him as a managerial prodigy aged just 33. After his Spurs stint ended with a 5-0 thrashing by Liverpool in December, the man known as AVB had to wait three months before returning to management with big-spending Russian club Zenit St. Petersburg. At the time, it looked like a great chance to nab an elusive trophy. Zenit were three points off the lead in the Russian Premier League, behind surprise leaders Lokomotiv Moscow, who looked likely to fall off the pace as the rigours of a full season took their toll on a relatively thin squad. It all started well as Zenit won their first six games under Villas-Boas and Lokomotiv started to run out of steam. No one, however, had reckoned on reigning champions CSKA Moscow. Nine points off the pace and all out of the race in March, CSKA staged a remarkable comeback to finish the season with 10 straight wins and beat Zenit to the title by one point. 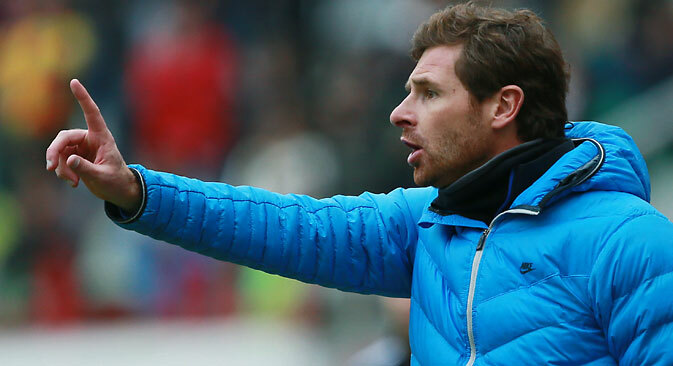 It’s hard to blame Villas-Boas – had he arrived a week earlier, perhaps he could have averted Zenit’s 1-0 loss to CSKA, which, although it didn’t seem so at the time, turned out to be a title decider. CSKA certainly deserve the credit for recovering from a dreadful start to the season, including a Champions League campaign that ended in disgrace with two UEFA punishments for racist fan behaviour by the club’s fans, including monkey chants aimed at Manchester City’s Yaya Toure. CSKA have few star names and struggle to match the spending power of Zenit, who are backed by state gas company Gazprom. Their main virtue is consistency – while other Russian teams tend to chop and change personnel on a whim, CSKA have put together a team who know and trust each other. Whereas Zenit axed Villas-Boas’ predecessor Luciano Spalletti with the club second in the league, CSKA stuck by their manager Leonid Slutsky despite poor form. On the pitch, goalkeeper Igor Akinfeev has played with the same defenders for almost all his career and playmaker Alan Dzagoev is another long-term fixture. Ivorian striker Seydou Doumbia has experienced several long-term injuries, but was trusted as the first-choice striker this season, scoring 18 goals in 22 league games. Both Zenit and CSKA have one big problem, however – thuggish behaviour by their fans. CSKA’s first home Champions League game of next season must be played in an empty stadium due to this season’s racist incidents, while Zenit have a two-game stadium ban in the Russian league after one of their fans attacked an opposition player last week. With Russia hosting the World Cup in 2018, a vibrant and competitive domestic league is important, but ensuring players and fans are protected from violence must be the top priority.